An expected outcome of the Coleman Foundation’s Developmental Disabilities Impact Plan is that grantees must discern the vocational and residential goals of program participants and facilitate their efforts to achieve them. To advance this and related goals, the Foundation initiated the development of the Intersect for Ability network. In the fall of 2008, the Foundation began work to catalyze collaboration among community providers of services for individuals with developmental disabilities. Following a convening of ten grantee organizations, the Foundation made an initial grant to The Hope Institute for Children and Families to serve as managing partner of an informal network of providers. Since that time, the network (now known as Intersect for Ability) has developed multiple collaborative programs to address three areas identified as priorities by network members: training and retention of staff, employment opportunities for clients and support for clients during lifestage transition (i.e. school-to-work, into retirement). 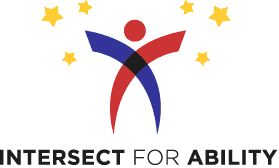 More information about Intersect for Ability can be found at the network’s website.